Home » Have you heard about horse mussel beds? Have you heard about horse mussel beds? Horse mussel (Modiolus modiolus) communities can be found in seas all round the Scottish coastline, and are considered important hotspots for biodiversity. Individual horse mussels – growing up to 20cm in length – bind together using byssus threads (hair-like ‘beards’) to form physically complex habitat with many nooks and crannies to shelter other species. They are extremely long-lived (up to 50 years) and are therefore very slow to recover from damage or disturbance. These horse mussel ‘beds’, can form on a range of seabed types, ranging from sand to gravel to rocks, significantly modifying the underlying habitat, and are a type of biogenic reef – a reef made up of living organisms. Beds of horse mussel, also known as ‘clabby doo’ (from Clabaidh dubha in Gaelic), provide shelter from predators, and act as important nursery and feeding grounds for diverse marine life including commercially important species of fish and shellfish such as whiting, cod, queen scallops and common whelks. Noss Head, in the north east of Scotland, is home to one of the largest horse mussel reefs in the UK and at an estimated 3.85km² is the largest known reef in Scotland, though it is possible that more reefs remain undiscovered. Recent research has demonstrated the significance of horse mussel beds as an ‘Essential Fish Habitat’ (EFH): a habitat that is proportionately more important for species of fish and shellfish than other habitat types, such as open sandy and cobble seabed. Species that have been found to be strongly associated with horse mussel bed include queen scallops (A. opercularis), common whelks (B. undatum) and the common spider crab (Maja brachydactyla). For example, researchers working with local fishermen off the Coast of Wales found that catches of whelks were three times higher on horse mussel bed sites than non-reef sites in the Irish Sea. Additionally, greater numbers of smaller whelks were found on reef sites, suggesting that the horse mussel bed provides a feeding and nursery ground for whelks, and can also provide protection from predators. Providing essential fish habitat is just one of several ecosystem services that horse mussel beds provide, including water filtration and locking up carbon. Maintaining healthy horse mussel beds is therefore important for both a healthy marine environment, and supporting social and economic activities. Horse mussels are also capable of processing and storing carbon that would otherwise be released into the atmosphere, in their external shells and the sediment below. Horse mussel beds, and other biogenic reefs, therefore have a role in helping reduce the effects of climate change if restored to and maintained in good environmental condition (see more about this here). Around the UK horse mussel bed have been declining in recent decades, though remnants of historically large reefs still exist. Although they have not been a major target fishery in the same way as other biogenic bed, such as oyster bed, it is possible that the same conditions that make horse mussel bed an important habitat may also be contributing to their decline. Horse mussels are vulnerable to disturbance, such as bottom-towed scallop dredging that can damage the beds and take many years to recover. 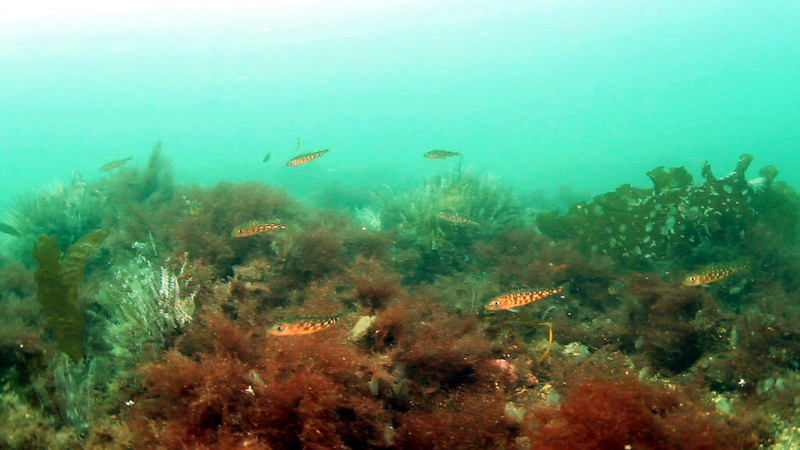 As with many coastal habitats that provide important nursey, spawning and feeding ground for commercially important fish – their reduction can consequently lead to demise of the fish supported by that habitat. This article was originally published at Save Scottish Seas on 23/05/18.